I believe it was the historian Will Durant who said the bloodiest wars are often fought over the smallest differences. I think about that now and then when I see people trashing each other in blog posts and comments on blog posts – people who agree far more than they disagree, but get into heated and often personal arguments over relatively minor differences. I made it a policy a long time ago not to get dragged into blogosphere battles. Now and then some well-meaning reader would send me a link to a hit piece on Fat Head or me personally and write “You’ve got to respond to this!” Uh, no, I don’t. To respond to a hit piece, I’d have to read it first. Then decide how to respond. Then write the response. Then respond to the inevitable response to the response. Get lathered, rinse, repeat. I have way better things to do with my limited time. Much of the comments-section vitriol seems to result from believing there’s exactly one right way to eat. There isn’t. There may be one right way to eat for you and one right way to eat for me, but there’s no right way to eat for everyone. We all came from different genetic backgrounds and we’re all different. Take a look at real-food diets falling under various labels – Paleo, Primal, Weston A. Price, the Atkins Diet (as it’s designed now), the Perfect Health Diet – and there’s a helluva lot of commonality: Eat whole foods, not processed food-like substances. Most of your energy should come from fat, not glucose. The Lipid Hypothesis is hogwash, cholesterol is not your enemy, and high cholesterol isn’t a disease that requires medicating. Natural fats, including saturated fats, are good for you. Enjoy your meats and eggs; they won’t kill you. Butter is awesome. Eat a variety of vegetables and low-sugar fruits. If you consume dairy products, go for the full-fat varieties and try to get them as raw and unprocessed as possible. Sugar, high-fructose corn syrup, soy products, processed vegetable oils and modern mutant wheat will screw up your health, so avoid them. Lots of agreement on what makes for a good diet. People following any one of those diets will end up eating most of the same foods and avoiding most of the same foods. So it’s a little silly to go into attack mode because some people consume potatoes or gluten-free bread and (gasp!) insist they feel better as a result, while others prefer to go ketogenic. Don’t those meals look both yummy and nutritious? Sara called me from school yesterday and told me she’d forgotten the class t-shirt she needed for a school picture. So I drove it over and then had lunch with her and Alana in the cafeteria. 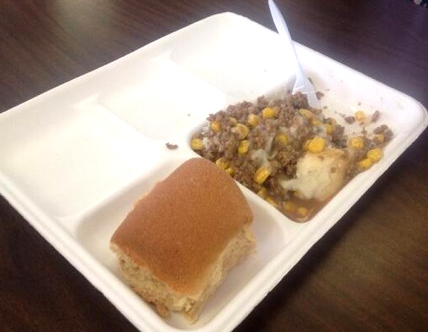 We make their lunches at home, but of course I had to sneak a peek at what the other kids were eating. 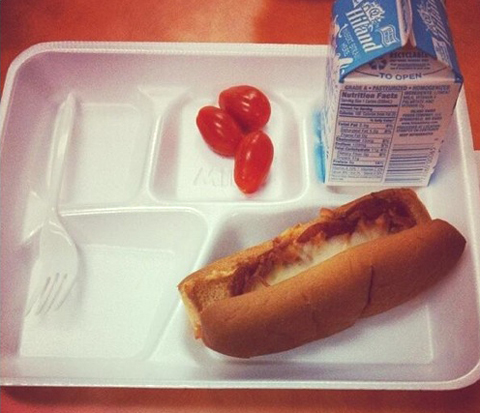 The USDA-approved school lunch that day was a slice of cheese pizza on a wheat crust, applesauce or peaches in syrup and a drink – chocolate skim milk for most of the kids, orange juice for the others. A wee bit of fat and protein, but most of the meal was wheat, sugar and sugar. Any adherent of an Atkins, paleo, primal or Perfect Health diet would have been horrified – as I was. The people who push “healthy” lunches like that on schoolkids are the enemy, not other bloggers and readers who have different opinions (probably based on different experiences) on the health effects of rice, tubers, insulin or ketones in the context of a real-food diet. I work alone, so I guess I’m the Popular Front. The Roman government was actually very inclusive when it came to religion, race, and culture (Much unlike most other nations, before, during or since). The only thing they really required was paying taxes. You might want to consider a different analogy (although I did enjoy watching the Life of Brian clips!). I doubt the countries they conquered and taxed were all that impressed by their inclusiveness. It was a perfect analogy Tom. Unless, of course, you mean that the government was inclusive of those cultures’ nobles, who profited by agreeing to become imperial bureaucrats and regulate, tax, and otherwise harass their own people. In that sense, you could say that our modern USDA, FDA, IRS, DOE, and HHS (to name a few) are inclusive of people with different points of view. What can I say? I’m not a robot who automatically agrees with anyone. Even my heroes…or Tom. Yes, I definitely want to hear about the Perfect Health Diet and why you are gravitating that way lately. I just wonder mostly about the white rice and potatoes. It seems like those starches would be quite carb heavy (obviously). And I was always under the impression that as far as carbs go, starch in particular spikes blood sugar. So I’m definitely curious to see your thoughts on that, and why you’ve been drifting that way. It’s always interesting to hear your latest diet and variations and reasoning behind it all. I look forward to it! PHD is still low-carb and high-fat — roughly 20% carb and 65% fat. It’s just not a very-low-carb diet. I have to finish the book before writing about it. I too have drifted to eating safe starches (with emphasis on the resistant starch foods), slightly more each day, plus a carb nite (but not with sugar!). And my weight is maintaining without any problem. Still high fat. I haven’t gained any weight either. I started doing a high-carb Saturday night some time ago, but like you, I don’t use that night as an excuse to consume sugar. I found the book to be extremely well written and thoughtful. I struggled a bit on very low carb but found adding back according to a rough guide by PhD helped significantly. I heard that from enough people that I was finally inspired to buy the book. I also downloaded some podcasts with Paul Jaminet and am very impressed with how thoughtful and logical he is. When you write about PHD book, it would be nice if you could convince Dr. Jaminet to make himself available to answer PHD questions from your readers. I’ll see if he’s up for it. Hmmm. I’ve been thinking about doing a collection of drawings of the nightmares of my youth. 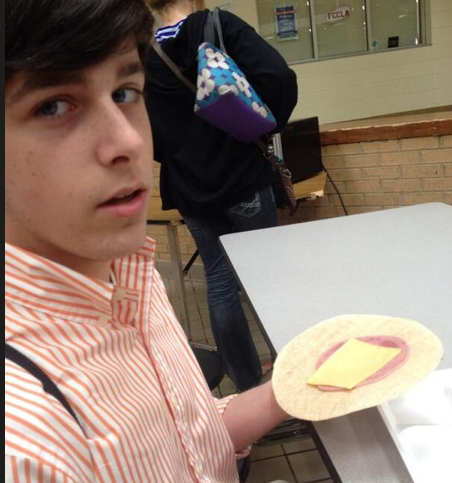 The school lunches may be included in that. Certain bloggers and responders remind me of something that happened at work a long time ago. One Friday night when I was working at a fabric store for minimum wage, a woman came in with a blouse and said she wanted to make a skirt to go with it. She told all the employees it was silk, that a gentleman gave it to her, and waved it around all over the store. She didn’t seem like the crafty type. Maybe she thought she was impressing us, but I thought it was pathetic that she didn’t have anything better to do with her pretty new blouse. Now I want to come up with clever post and refer to it as my pretty new blouse. That was quite a mix of metaphors. I hope you get more sleep tonight. Again Tom it must be said – you are a very smart man. I too see all the arguing and it is crazy. Yesterday’s Authority Nutrition blog post was about “11 Universal Truths in Nutrition That People Actually Agree on” – well said by Kris Gunner, much as you are saying here. Nice article by Kris Gunner. Adding in some starch (50-150 grams) and making SURE I was getting soluble fiber every day made all the difference to me. I think doing well on very low carb has to do with how much glucose a person is using a day and how much glucose an individual’s liver can make from protein. For me, the balance was off and things were terrible for me with very low carb. Also, the area under the curve of insulin seems to matter more than if you have a couple of spikes… and a little bit of carbs actually keeps your total amount of insulin over time lower in a healthy human. I really think it comes down to getting rid of carbs makes people feel so much better because they have stopped eating grains and vegetable oils; and no longer ingest those poisons. Also, I think many people in the US have a out of whack gut flora and no longer eating the grains helps that initially as well. In addition, I think people are leptin and insulin resistant because of the grains/gut flora problems, and so stopping the wild insulin swings helps for a while as well. The body does need simple sugars to function properly long term, but because people’s health improves so much with the very low carb, they are afraid to go back despite issues caused by eating very low carb. Also, there is an adjustment period to reintroducing carbs, and so people find that adjustment period as a reason to continue eating very low carb. All of this I had to find on my own and it works for me, but may not with others. This also in the Perfect Health Diet, and that is where I point people who ask how I have gotten healthier (chronic allergies 95% gone)/lost weight (50lbs). Overall, I think all the movements you listed above (even PHD) are something of a cargo cult in that they have found a series of activities which help their health, and have a series of theories of why this work. Obviously SOMETHING is working, but how much of it is the real reason it is working and how much of it is superfluous or even harmful? I think all the self-experimentation and sharing of information is awesome and is quite rapidly answering the above question. In fact, I think we are probably moving more rapidly towards an optimized solution than any point in our history. Respectfully sharing information, disagreeing/discussing, and rapid/widespread experimentation is the strength of the movement. Those who pick fights over the purity of their diet as the only solution are participating in a cargo cult, not working towards a better diet/quality of life. Very well said. That’s why I’m a fan of the Wisdom of Crowds effect. Share enough information among enough people, and the answers will bubble to the top, even if it’s not the same answer for everyone. Funny, just read this a few minutes ago. I’m going to suggest to the feds that they avoid trying that around here. You get extra super bonus points for any and all blog posts featuring Monty Python clips. My first exposure to Monty Python was “Monty Python and the Holy Grail,” which I eventually saw 11 times. Y retentive AS however is pointing out that liver can make glucose from a lot of GNG substrates, one of them being the glycerol from fats’ “E” backbone. I think most of the PHD stuff is on point, but Jaminet’s thing about “glucose deficiency” is weird – mucus/scurvy/kidney stones/thyroid/etc all coming from not eating some rice or a frickin potato? Sure, we can handle consuming some of this stuff, and it may indeed be beneficial in some ways – but saying we *require* this stuff… Gimme a break. I’m still reading the book, but his point is that we have a biological need for a minimum amount of glucose — which is clearly true, since our bodies will produce glucose from protein if we don’t consume any carbs. He believes forcing the body to constantly supply the required glucose via protein conversion can cause problems in the long-term for some people. I’ve heard from some of those people, recounting health issues that went away after they added small amounts of starches back into their diets, and I believe them. His diet is still low-carb and high-fat, and in the book he makes the point several times that glucose is not intended to be our primary fuel — fat is. This is the problem that all the starch apologists seem to miss – glucose isn’t made exclusively from protein, that’s the LAST RESORT. Just the simple act of burning fat for energy releases glycerol which can then act as a precursor to GNG for glucose – not a single structural protein was lost that day. Jaminet covers that in his book as well to explain why we don’t need nearly as much carbohydrate in our diets as the so-called experts tell us. He’s quite clear that fat should be our primary fuel. That’s what bothers me the more about Jaminet. He could have just said “moderate carb is healthier than low carb”, which is a perfectly acceptable opinion. But instead he chose that aggressive “low carb will make you sick from mucus and glucose deficiency, buy my book if you want to live” bullcrap, and got rightfully slapped in the face by many low-carb doctors with a medium-rare T-bone steack, on the 6 october 2011 LLVLC post. Unfortunately, Nikoley is going the same way. He’s not simply saying “resistant starch is good for you” – I believe him on that point, and might try it later – but “long-term ketosis is bad for you”, implying “all doctors who recommend it are ignorant or crooks”. It’s hard not to be conflictual when they deliberately use conflict – I would even say “trolling” -as a marketing strategy. In both cases, I think we have to consider individual variability. I’ve seen too many posts and comments on blogs and in Facebook groups from people who experienced exactly the negative effects Jaminet describes (cold hands and feet, dry eyes, flagging energy, etc.) to dismiss them. There’s clearly something to it, at least for a significant share of the people who go VLC. By the same token, I’ve met people who’ve been in ketosis for years (Dr. Volek, for example) and are fit as fiddles. So again, there’s no single right answer for everyone. As I mentioned above and stated by Tom, I think people have variable glucose usage/production ability. I definitely had all the negative effects from VLC mentioned in the PHD, which went away with the addition of “safe” starches. If you actually read his website, Jaminet was also VLC for about a year and personally experienced all the VLC issues, including scurvy. It seems like Nikoley is having the same experience. Also, although I did buy the book and recommend it, 90% of the book is on the website. As long as you don’ t mind reading in the website format, there is no reason to buy the book. In actuality, your comment is a good example being disrespectful towards someone in which you are in 95% agreement. I’d buy the book even if most of it is on the website. I like supporting authors who do good work, and it’s easier to mark the important sections. If someone gets scurvy from a VLC diet, it’s not because VLC is unhealthy or because it doesn’t suit him, but because he’s doing it wrong. You can get 10 times your daily needs of vitamin C with brussel sprouts, spinach, cauliflower (twice the vitamin C amount of orange, with 1/3 of the carbs) etc… while staying under 30g carbs/day. Adding carbohydrates actually hinders your vitamin C adsorption. I’ve become quite wary of that statement. That’s how vegans try to keep people in the fold when a vegan diet makes them feel lousy — you’re just not doing it right! No, feeling lousy means it’s probably a diet that doesn’t work for you. We should apply the same principle to low-carb, paleo, whatever. If you still feel lousy after an adjustment period, you need to try something else. I always appreciate the voice of reason you bring to this discussion, Tom. The LC/paleo orbit has its fair share of zealots, purists, and food police, and it is nice that reasonable people like yourself and Mark Sisson keep the big picture in perspective. Your remarks above about the potential downsides of chronically converting protein into glucose remind me of Sally Fallon’s frequent cautions against eating a high-protein diet due to the depletion of Vitamin A. I also heard her mention (I believe this was on the Fat Head bonus interviews) that traditional cultures never ate lean meats, because they would become ill. In that context, the idea that we should avoid having our gluconeogenesis furnaces going at full steam all the time makes perfect sense. I have the same attitude about dietary zealots as I do about religious zealots: if it’s working for you, great, enjoy. But don’t condemn everyone else. Just reading the website for PHD lends to more confusion. Potatoes, yams, rice and rice pastas, bananas…I gave up all that stuff and haven’t lost any weight. In the time I’ve done LCHF I’ve gained 12 lbs. Something is off and I am not “doing the diet wrong”. Firebird, your situation reminds me a little of Jimmy Moore’s, although instead of failing to lose weight on low carb, he lost weight and then regained. But then he lost a ton of weight through nutritional ketosis, which he described in full detail on the 2013 Low Carb Cruise. If you haven’t seen it, I’d highly recommend it. You can search it on vimeo.com if interested. Thanks. I saw it. I followed the routine and got fatter. Then I’d look into Mark Sisson’s exercise advice–specifically about “sprinting” (i.e. full intensity of an exercise, not necessarily running). After that, I’m out of ideas, and good luck. In that regard, perhaps it’d be to your benefit to include some carbs? I did quite well on the Zone but felt it might be better to reduce carbs even further. I even spent the last 2 months intermittent fasting. The crazy thing is that I don’t miss the carbs, but feel like I might have to do something closer to the Zone, which would mean putting a banana back into my protein shake. For me, I had lost about 50 lbs following the PHD and, while still about fifteen pounds over where I wanted to be, I was happy with the weight loss. However, I was still having chronic sinus issues. This lasted for about eight months. Sadly, my sinus continued to get worst and I had a return of the allergies problems which had stopped when I started PHD. Recently, I added in probiotics in the form of kefir and prebiotics in the form of RS and digestible fibers. The sinuses finally cleared up for the first time in years. Also, I had resigned myself to being 10-15 lbs overweight, but found I also started dropping lbs again with the addition of the probiotics/preboitics as well. I think diet is a large portion of the puzzle, but gut health is important as well. You might try that. Oh, I also had problems loosing weight with LCHF. I would have great initial weight-loss, which would then stall, and then the weight would start creeping back up. I would also suffer all the issues with VLC as listed in PHD. I would try to stay VLC as long as I could before going back to SAD because of how great I felt initially. Overall, it was about the worst thing I could do to myself. I think some people just use too much glucose/don’t produce enough to do LCHF successfully. We found a witch (the USDA). May we burn them? I just gotta say, everything goes better with Monty Python. The “burn the witch” scene was a perfect commentary on the scientific method. And deserves a very hard spanking. 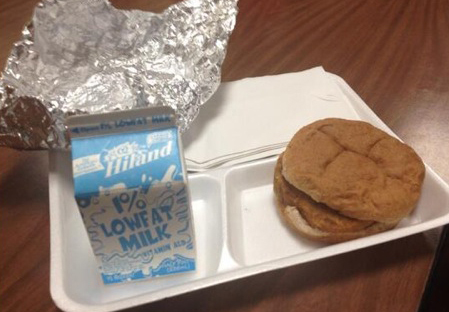 I think it’s funny how people want to think that all children are special and individuals like snowflakes, yet in school they get to line up for their 2 ounces of New and Improved and Gubmint Approved SLUDGE (TM), a half an apple, 2 carrot sticks and 4 ounces of skim milk. I guess one size fits all when it comes to nutrition. That seems to be what they believe. I was going to comment in one of your other posts regarding the recent “resistant starch” craze, so I’m glad you chose to address it and add in clips from one of my all-time favorite movies at the same time (“He’s not the Messiah, he’s a very naughty boy!”). I also discovered that I can’t do the very low carb thing. For years I thought I was lactose intolerant–turns out I’m just intolerant of supermarket milk. I now drink grass-fed non-homogenized milk, which I enjoy with no issues. I eat potatoes once in a while. And the biggie–I gave up booze. The result has been a twenty-pound weight loss in three months. I hadn’t lost any weight in years. Eating real food–pastured meats and eggs, grass-fed dairy, veggies and yes, even the Dread Pirate Potato is doing my body nothing but good. I’m looking into the Perfect Health Diet as well. Thanks for all you’ve done here and for the laughs. I’ve been experimenting with resistant starch for a month or so. The results have been quite positive. Next week I’ll run a two-part interview about resistant starch with Richard Nikoley, Tim Steele and Grace Liu, who are writing a book on the subject. Thank you for writing about this. As a self-professed positive person, I feel the same way. Why give yourself one more thing to fight about? There’s plenty of that in other areas of our lives. Just be happy that people are finding something that appears to be making them healthier, and if it stops working, hope that they notice, and try something different. I, myself, have gone from LCLF for 7 years, to LCHF for 3 years, and now to Real Food HF w/RS. Bingo. When people find what works for them, the proper response is applause, not boos and hisses if what works for them isn’t what worked for you. The standard solution to counter government agency failure is to create a new government agency. I’ve even seen a petition on Fat Head to do that. Yup. You’ll notice I explained why I wasn’t signing or promoting that petition. FDR created an agency to pay farmers not to grow food. Turns out some farmers cheated and grew food anyway, so he created an agency to monitor the farmers. Turns out some of those agents took bribes from farmers, so he created an agency to monitor the agency that monitored the farmers. If not for WWII, that system would probably have ended up eight layers deep. That reminds me of a cartoon I saw in National Lampoon years ago. HS kids are taking a test…everyone one of them is looking over the shoulder of either the student behind them or next to them. It goes all around the room to the first kid who is cheating. Totally agree. Just from an anecdotal point of view, it seems to me that VLC works better for men. I found that I really needed some carbs when I was pregnant, and now that I’m nursing I still need them to feel decent. So yep, I sometimes I make homemade hashbrowns (friend in butter of course!) with sunny side eggs on top. Or an apple dipped in almond butter. Or whatever — just as long as it’s whole foods of the best quality possible. It makes perfect sense that different life stages come with different nutritional requirements because hormones play a large part in how our bodies operate. For example, breast milk is hardly VLC (it’s actually sweet — weird! ), and at one stage of everyone’s life it is the perfect food. I’ve found that my girl like scrambled eggs mashed up with a cooked potato. Pretty tasty combination. I also prepare the lunch for my children since i dont think the food at school will have the right nutrients for them, i don’t how other fathers let the kids eat this type of meals every day. I suppose they think that USDA-approved meals must be okay. Quite interesting how her perception of sugar and its taste changed during that time, along with the health and weight benefits they experienced, which match pretty closely those reported by many folks on this blog. I lost my sweet tooth decades ago, but I’ve heard that from quite a few people. Their perception of sweet changed, probably back to the default setting designed by Mother Nature. Re: starches, I find I feel better not by eating more carb, but by eating more often. Yes, it’s the dreaded snacking, but it works for me. Higher carb gives me upper GI problems. That’s why we should listen to our bodies. What works for you may not work for me and vice versa. I don’t feel so hot after eating wheat, but I’m finding potatoes don’t bother me at all. I grew up in the bodybuilding world of 6 smaller meals and even on LCHF, I still gravitate towards it. I think my stomach has shrunk over the years because I cannot get a lot of calories into my stomach in one sitting anymore. Long gone are the days when I could put a Sizzler out of business at the all-you-can-eat buffet or eat 1/2 a pizza on my own. To that end, I don’t even eat pizza anymore, not even tempted. I was on a program of 6 little meals a day of protein/carb for some years, and in some ways, it suited me. Like you, I don’t like big meals–they give me a stomach ache. And pizza smells like a wet dog to me. I wonder if part of why some people feel better with more carb also has to do with nutrients, esp. potassium. Many “safe starches” have quite a bit of it, and when I was VLC, I had to take a potassium pill to feel right. Another thing: salt. When I did a couple fat fasts for therapeutic reasons, I had to put a glittering crust of salt on all my food, or I felt light-headed. I definitely have a salt tooth vs. a sweet tooth. I don’t go overboard with salt, I just tend to lean towards foods that are saltier like macadamias, which, BTW, are disgusting without it. 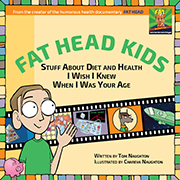 Tom, one thing that I admire about you is your willingness to adjust your diet and try new ideas based on what you read. Your diet has shifted from when you originally cut out the burger buns in Fat Head, to ridding yourself of diet pop and frankenfoods, to nutritional ketosis, to your current Perfect health-leaning diet. Like Jimmy Moore, you demonstrate honorable qualities including humility and open-mindedness. You test a hypothesis and adjust your thinking to new evidence. 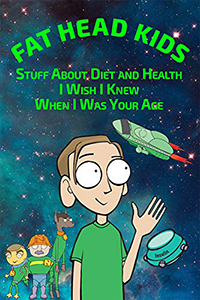 If other people also shared your scientific mind, then we would never have never found ourselves in this health mess. I appreciate that. An analogy I heard once that I like: a sailboat gets to its destination by constantly adjusting its course as conditions change. Another TERRIFIC post………..maybe one of your best. But when bloggers go hatefully foaming insane … there are bound to be comments. True, but it’s not how I’d prefer to draw comments. Luckily not long after that their Empire was defeated and disintegrated. Other than the roads, the aqueduct, sanitation, wine and public order, nothing. They also killed Jesus. If you’re Christian that’s good because it was necessary for Jesus to be executed and if not he had to be stopped. Walter: I once had a man who worked for me named Erwin Feinstine. One year just before Easter I said, Erwin, do you have any plans for Easter? NO! NO! NO! That’s what the Romans should be doing. Perhaps the Pope could apologize on behalf of Rome on Good Friday. Thanks for the inspiration Tom…. Tom- phd is anti legumes. Are you ingesting beans? I’m a big bean lover and would love to know your take since they provide more fiber and protein than rice and taters. I eat refried beans when we got out for a Mexican meal. Other than that, no. I don’t know if they’re actually bad for us or not, but I found that they spike my blood sugar to ridiculous levels, even when I consume resistant starch. Refried beans don’t for some reason. Thanks Tom. Are you eating the beans after the have been chilled ala your rice and taters? Refried it makes sense due to the reheating. I know Richard and Tatertot eat beans as often as they eat rice and taters with little spike but they do it after chilled to up their resistant starch. I tried beans twice, figuring since they’d been cooked and canned, they were already cooled. Both times I got huge spikes, up to around 200. So I guess there’s just something about beans that don’t agree with me. I haven’t tried soaking and cooking and cooling my own, but I don’t like beans enough to go to the effort. I’m fine with one serving of refried beans per week when we go out for our Saturday night Mexican meal. If by canned, you mean cans of beans bought at the store, the problem might not be all beans, but just store-bought canned beans. Tim Steele said they don’t have nearly as much RS as properly prepared dried beans.